Sometimes even lawyers need a lawyer. 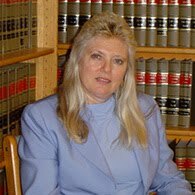 As an appellate/trial support attorney, Ms. Haas is often requested to represent or assist other attorneys with issues they encounter in the practice of law, such as claims for attorney's fees or disputes with other attorneys over fees. She sometimes serves as an expert witness in these claims or disputes. taking a client with him. For months, the trial court would not approve his substitution of counsel form, so he could represent the client in court. On a Petition for Writ of Mandamus, the appeals court ordered the judge to grant the motion. The attorney was finally able to move the case forward.